I never had any intention of doing a review of a Head Down Products rifle, I knew they existed but in more of a peripheral sense than anything else.Â Compared to some other rifle makes, Head Down is smaller, newer and without the same exposure.Â None of these facts mean they couldnâ€™t build a good gun, I just wasnâ€™t looking to find out in the same way I may never review or even fire any number of other manufacturerâ€™s rifles.Â Well Robby with Acworth Guns arranged a meeting with the guys at Head Down since they are local to me, just to get a look at their operation and potentially do a review on one of their rifles.Â Since he spoke highly of them I decided they were worth a look and Iâ€™m pretty glad I did. Head Down Products offers two main lines of rifles; the Triton series (an entry level line that are economically priced) and the Provectus series, which offer more features and different configurations not seen with the Triton series.Â I was given an off-rack Provectus 15 rifle for my review (the 15 referring to the rail length of 15â€). 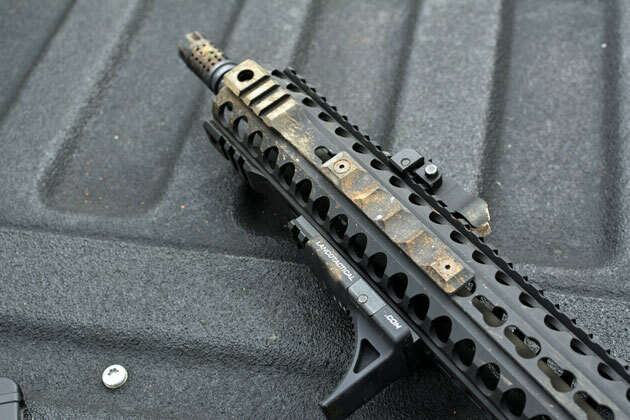 The first thing you notice about the PV15 is the weight.Â With a 16â€ barrel, billet upper and lower and a 15â€ rail, one would expect a heavy gun.Â Weighing in at 7 pounds un-accessorized, the PV15 is a very manageable weight and hardly heavier than guns that boast of their light weight gained by using pencil barrels and forged components.Â I donâ€™t like a heavy gun, but I donâ€™t want a gun sacrificing barrel thickness or more durable parts to obtain a lower weight.Â 7 pounds isnâ€™t much at all. The free float rail on the PV15 is 7075 aluminum.Â This is pretty remarkable, and as of writing this I only know of a few other companies offering rails in 7075 (most are 6061), which helps greatly in cutting down on rail flex under strain and adds linear strength to the rifle overall.Â Mated to the HD billet upper with a simply designed barrel nut that is very user friendly for rail removal if necessary.Â The rail sits flush and is almost seamless, anti-rotation tabs are cleverly designed to not stand out as they sleeve the upper receiver.Â As a keymod rail, many direct mount accessories are available and the rail has forward placed picatinny for accessories as well. The barrel is a 1/7 right hand twist (my favorite), melonite coated (inside and out) with a carbine length gas system.Â I donâ€™t care for carbine length systems on longer guns, the weapon stays gassed longer between shots and Iâ€™ve found this to create a more acute recoil when compared to a mid-length system but I was hoping the rail weight (21 ounces) and the stout upper/lower billet construction would alleviate some of the felt recoil. Â Â The Provectus comes standard with an A2 flash hider; with the option of adding a Head Down brake.Â I removed the A2 because I hate it and installed a Griffin Armament M4SD Flash Comp. Mil-spec bolt carrier group and a raptor charging handle finish off the upper receiver.Â I was given a bone-dry gun so pre-lubrication was definitely in order.Â A liberal coating with Fireclean allowed me to cycle the gun smoothly and after a dozen or so runs on the handle I was more than confident that all the internals were moving as they should. The PV 15 has a proprietary stock on a mil-spec tube that is similar in profile to a SOPMOD but with thicker undercarriage and a much wider adjustment lever.Â I use B5 Systems stocks on all my guns and often put them on rifles I review because I just donâ€™t like any of the other stocks out there; I found the HD stock to be very similar in profile and cheek weld so I decided to leave it on.Â Throughout testing it was rock solid without any rattle or canting and adjustment was always easy despite mud and grime coating the buffer tube and making its way inside the stock on a few occasions. The features on the lower are specific and almost spartan; an ergo grip (as opposed to a Magpul, which I actually enjoyed), non-ambi controls and a Head Down single stage trigger.Â The Provectus line used to come with a Geissele two-stage trigger, in fact itâ€™s still listed as the trigger in the Provectus on the Head Down website as of writing, but the trigger I got in my review rifle is something quite different. Â A drop-in-style trigger with a noticeably thinner profile and less acute curve that puts their trigger closer to a straight profile than a traditional AR curved.Â Itâ€™s a single stage trigger with a 3 lbs pull, which I do like. The trigger surface also has a more aggressive surface curve to it, reducing finger-to-trigger contact by feel.Â I didnâ€™t know what to think about it at first, on dry firing I found the take up to be crisp and the over-travel and reset to be quick but the feel gave me pause; only after shooting would I be able to decide if I liked it. My testing was as always to be as realistically hard on the gun as I could be.Â I would fire 2000 rounds; check accuracy (both hot and cold), consistency, spec (tolerances of the parts and how they interacted with other parts) recoil, reliability and durability.Â My ammo for the test was a mix of Wolf, Tul, Silver Bear, Fiocchi and Lake City.Â For accessories I went with Troy sights, Rail Scales, an Aimpoint H-1 on a Fortis mount, Surefire x300U, Grip Stop and a Blue Force Gear sling.Â I varied the testing magazines; Magpul, HK steel, Troy, Surefire and a few USGI aluminum.Â Once the first round was fired the rifle would not receive another drop of lubrication or be cleaned in any way. I zeroed first, using 62 grain Lake City.Â I was able to zero in 15 rounds; I fire 5 round groups when zeroing so this was worth mention.Â I made one set of corrections after the first 5 rounds, saw my POA/POI where I wanted on the second and then confirmed with the last five.Â The zero groups were all sub MOA at the 50 meters zero distance. After that it was 500 rounds as fast as they could be fired and a second accuracy check.Â With barrel temperature 350 (F) at the gas block I shot a near Sub-MOA group at 50 meters.Â I was fairly impressed at this point.Â Over the next 500 rounds I worked through varied magazines and got a feel for the trigger.Â I was able to run the gun fast, not quite as fast as a flat profile trigger but managed .12-.15 splits on a shot timer.Â Trigger reset was consistent and sure.Â The rifle recoil was admittedly flatter in recoil than I expected it to be; minimal muzzle rise and the recoil pulse was what I would normally expect from a mid-length system.Â The M4SD Flash Comp working with the overall weight balance of the rifle was certainly helpful in taking the normal snap out of the carbine-length gas system. 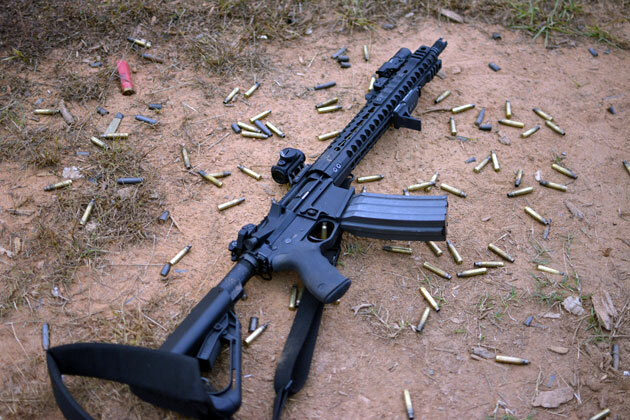 The next 1000 rounds were worked through while repeatedly drop testing and submerging the rifle to get it as absolutely dirty as realistically possible.Â Even with this abuse I was able to regularly strike 10â€ steel at 100 and body sized steel at 300 meters while shooting very reasonable groups on paper at varied distances. 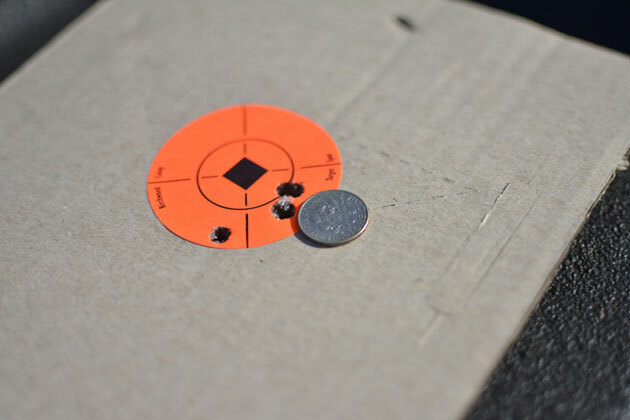 At the end of 2000 rounds I fired one final group of five rounds and found the PV15 shooting MOA at the zero distance.Â I really wanted to confirm MOA at a greater distance but did not have the proper optics available at the time. Throughout testing I experienced three malfunctions; two were failures to extract on cracked-neck rounds (Tul 55 Grain) and the last was a failure to fire on a Wolf round in a wet magazine.Â I cycled the FTF round repeatedly and then again through a second rifle to confirm it was the round and not the rifle.Â I can confidently attribute all failures to ammo and not the PV15. So what do I think about the PV15 at the end of testing?Â First things first, what I donâ€™t like.Â The Head Down stock (called the HDF) has a QD attachment for a sling; itâ€™s not an anti-rotation attachment point which allows for the sling to twist, I didnâ€™t care for that.Â I would also like to see the Provectus line offered with ambi controls and more muzzle device options but thatâ€™s a matter of preference. The rifle is solidly built and its construction is a good handshake between mil-spec reliability and more precise parts for greater accuracy.Â The Head Down trigger is functional and reliable; only failing to win me over against CMCs based on preference alone.Â I would also like to see it offered with a mid-length gas system but again, thatâ€™s preference.Â The billet design is pleasing as the structure is there without needless furniture features added for the sake of saying â€œThis is billet, just look at itâ€ and that definitely appealed to me. 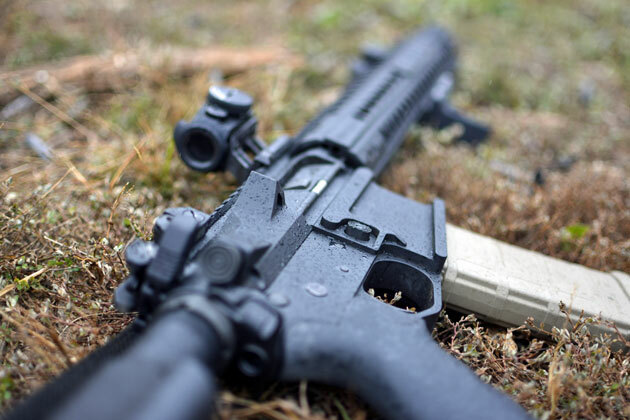 Given the current state of the AR market, there are many companies offering rifles in the same price range and not as many customers looking; Head Down can certainly meet the demands of what you would expect a rifle with an MSRP of $1999 to do.Â It performs, it eats all types of ammo and it gives consistent results.Â Itâ€™s not going to be a game changer as some other rifles promise to be (and fail to live up to) but it is an excellent option for someone looking for a performer that comes with a lifetime warranty and out of the box reliability. 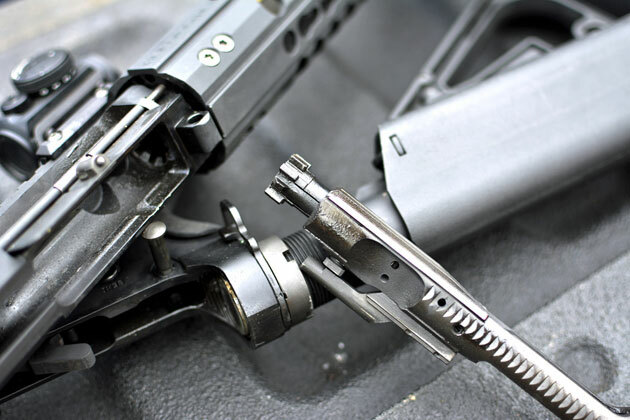 The 7075 aluminum rail and Head Down trigger do set it above some otherwise similar rifles and are my clear favorite features.Â When compared to other rifles in the same price range, the PV15 performs just as well if not better and out performs some rifles costing more.Â For the price point, you get a lot of rifle and itâ€™s a rifle that is certainly going to do what you want it to do.Â Head Down Products makes a great rifle and if you are in the market, the Provectus line should be on your list of rifles to consider. 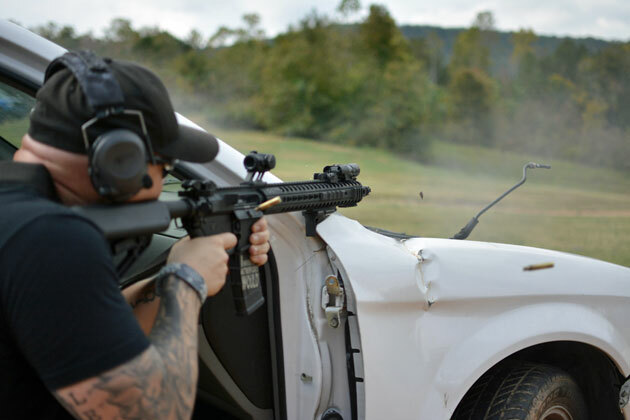 Aaron Cowan is the Lead Instructor for Sage Dynamics, a reality-focused firearms and tactics training company that provides practical instruction from the fundamentals to advanced skills for the civilian, police and military professional. Aaron served in the US Army as an Infantryman, as a private security contractor overseas and as a police officer. 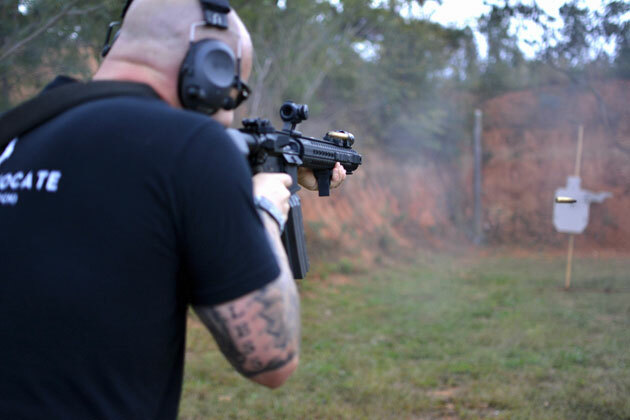 In addition to patrol he worked as a SWAT team member, SWAT deputy team commander, SWAT sniper, sniper section leader and in-service police training officer.